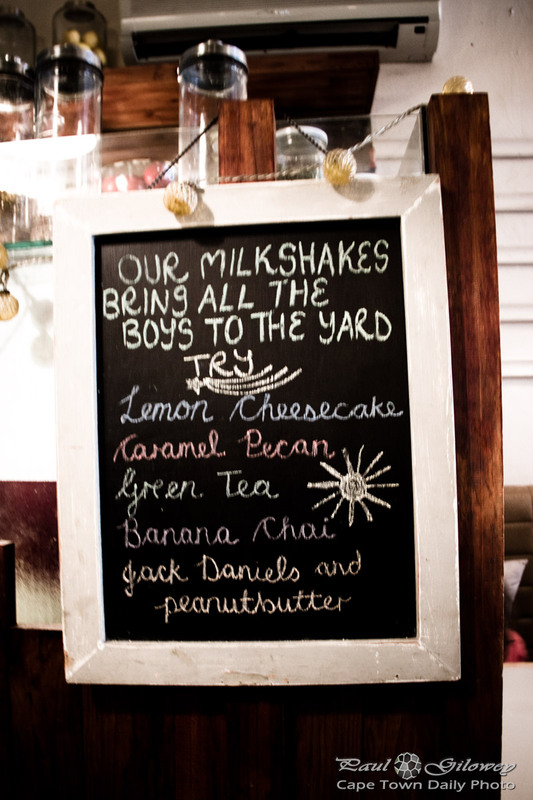 To continue with the sentiment of that song - they're damn right, their milkshakes are the best in town. After leaving our breakfast spot where the food was ok, but the service and general vibe was unfriendly, we visited Royale Eatery for lunch; and milkshake of course! Royale are known for their lovely staff, gourmet burgers, and (as you can see from the photo) their interesting and delectable milkshakes. Kerry-Anne, having had only a pickling for breakfast, had a Bergerac burger and since I'd already had a reasonable breakfast I just had a plate of sweet potato fries and a Lemon Cheescake milkshake (which, I recommend you try; if you like the feeling of pure bliss, that is.). Our waitress more or less convinced me that next time I should try the Avocado & Mint milkshake. Have you ever heard of, and more, had such a thing? Avo in a milkshake? How strange. Posted in General and tagged burgers, milkshakes, restaurants on Wednesday, 19 March, 2014 by Paul.